published in association with AdRoll and based on an online survey of 987 practitioners in Europe, North America and Asia-Pacific. We expanded on last year’s report, which focused solely on Europe, and made the report a global comparison. 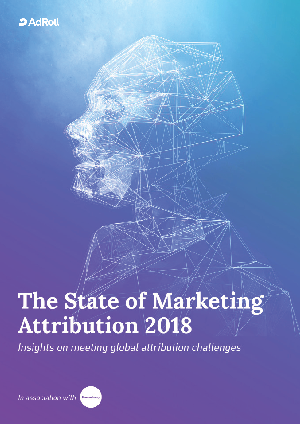 This report reviews the current adoption levels of marketing attribution, the confidence in its usage and the effectiveness of companies’ attribution methods.